With an appendix featuring an A-to-Z list of every condition covered, it’s easy for you to quickly find the exact information you need in any situation you may face. 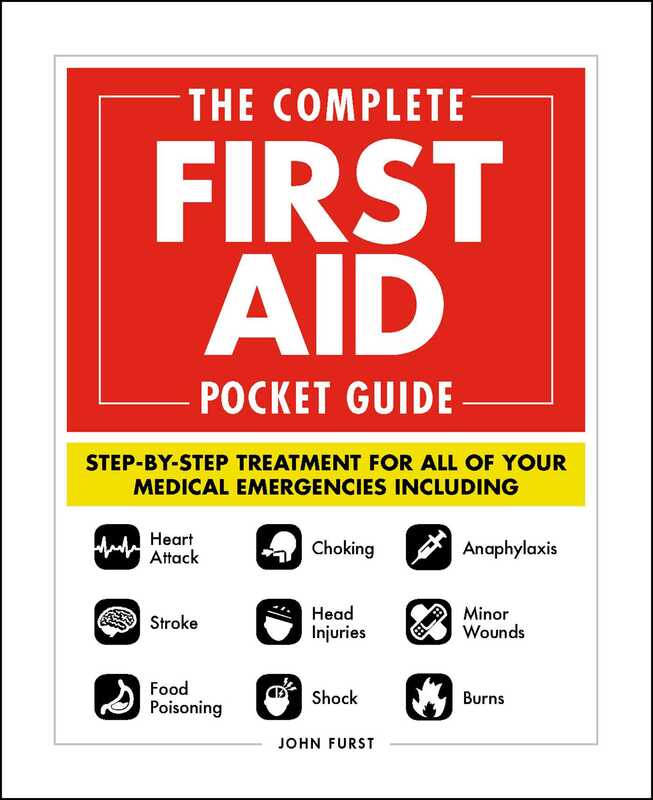 With its small trim and portable size, The Complete First Aid Pocket Guide is the perfect addition to a home first aid kit, car first aid kit, disaster-survival bag, as well as a pocket companion for EMTs and other first responders in the field. John Furst is a qualified first aid & CPR instructor. His career began with the Red Cross before setting up his own first aid training company. He has worked as a first aider for many years and is able to draw upon his extensive experience when teaching. John runs a first aid blog where he regularly writes about current first aid topics. John is passionate about first aid and believes everyone should have the skills and confidence to take action in an emergency situation.